Aurora, OH: Video Products Inc (VPI) is now offering its selection of Premium, Flat, and Super flat CAT7 cables at up to 74% off. Category 7/Class F (ISO/IEC 11801) cables feature even more stringent specifications for crosstalk and system noise than CAT6, and is designed specifically for Gigabit Ethernet applications (Gigabit over copper). CAT7 cable consists of four individually shielded pairs inside an overall braided shield, and is also known as Screened Shielded Twisted Pair Cable (S-STP), or Shielded Foiled Twisted Pair Cable (S/FTP). As a result of the additional shielding, the cables virtually eliminate alien crosstalk and interference. CAT7 cables support 10GBASE-T Gigabit Ethernet, 1000BASE-T Gigabit Ethernet, 100BASE-TX Fast Ethernet and 10Base-T Ethernet, and are backwards compatible with CAT5, CAT5e, CAT6, and CAT6a equipment. VPI's CAT7 patch cords have stranded copper conductors for flexibility, which is ideal for frequent changes that occur at the wall outlet or patch panel. 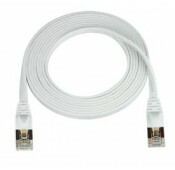 The Premium CAT7 Cable performs beyond 600 MHz and has a wire gauge of 27 AWG. 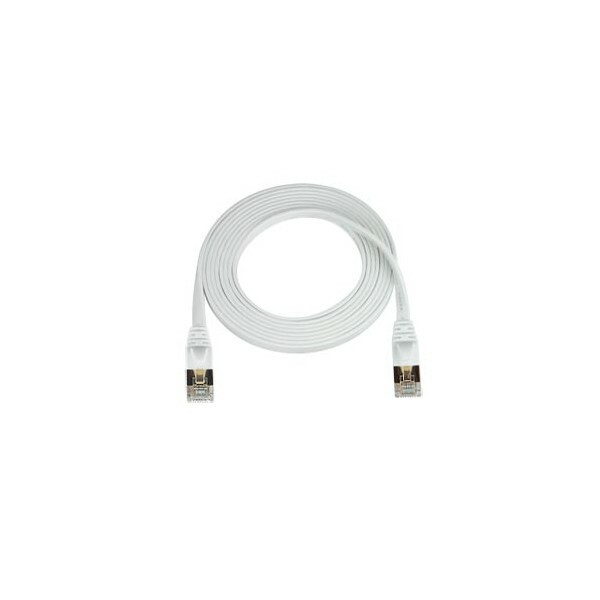 The CAT7 Flat and Super Flat Cables are a great solution for hiding Ethernet cables in tight spaces where regular CAT7 patch cords are too bulky, such as under a carpet. Flat and Super Flat CAT7 thin ribbon cords boast a cable thickness of 0.16 inches and 0.08 inches respectively, and give a neat appearance to desktops and wall outlets. Available for immediate sale, the Premium CAT7 Cables cost between $4.50 and $35 each, and are available in lengths of 2/3/5/7/10/14/16/25/32.5/50/100 feet; the Flat CAT7 Cables cost between $4.25 and $38 each, and are available in lengths of 2/5/10/14/25/50/100 feet; and the Super Flat CAT7 Cables cost between $6.00 and $24 each, and are available in lengths of 2/5/10/14/25/50 feet.